I know this is really long but I wanted people to know what the exprience was like in detail. I have been overweight since I was about 9 years old. I never wore bikini’s or low rise jeans. My lowest weight post puberty was 175lbs, 30lbs over what I should have been according to my BMI. After high school, when I stopped doing organized sports, I crept up to 190lbs. I lost the weight by increasing my activity level, but everything got worse very quickly. I never fixed my over-eating problem, so when I would get busy and stop working out the weight would just pile back on. Then I moved to Florida, where people drink sweet tea instead of water and all meat comes deep fried. I went from about 180lbs to 220lbs in 6months, and I could not loose it. In fact it got even worse. I eventually got to 241lbs and I bawled. I would try and eat healthy, but I couldn’t get my cravings or portions under control. I would make pasta at home, eat the entire box and still want dessert. When I got engaged, I was freaking out. Instead of being excited about the wedding process, I would burst into tears when anyone brought up wedding dress shopping. I was out of control. I was losing my life to food. My mother also had a problem with her weight. Her heaviest was 310lbs and at the rate I was going, I was going to be there soon. She lost her weight with weight loss surgery and suggested I looked into it too. She recommended JoAnne at BeliteWeight, so I checked into it. 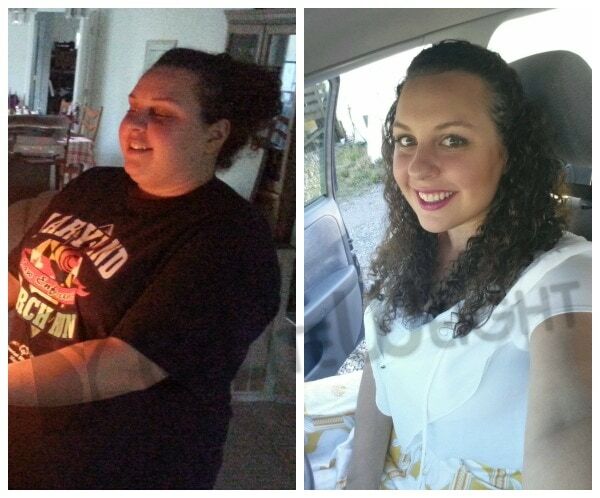 She had the gastric bypass surgery, but I was more interested in the gastric sleeve. So after I did my homework and got the support from my mom, I booked a date. My nerves were fine until I got there. I had never had surgery before and was so scared to be put under. The doctors were amazing. They didn’t sweep my anxious feelings under a rug, they spent time with me. They talked to be about my fears and getting to know them better helped my nerves. Dr. Jose Rodriguez-Villarreal & Dr. Elmo Aramburo repeatedly came and checked on everyone before and after surgery. They kept reassuring me that everything would be okay and that I was in good hands. They were excellent listeners and always answered my questions completely. The anesthesiologist, Dr. Solis, heard that I was most anxious about being put under and also made a point to come to the pre-op area and comfort me before surgery (I had already met her prior in my room also.) She sat there and held my hand while I cried and left me feeling truly cared for. She also held my hand as she put me under for surgery after I had a good cry on the operating table. When I woke up from surgery I had no pain. After my nap, they had me walk around and that eased some of the discomfort I was starting to feel. Walking around the hallway you also make friends. There were several people who also had surgery on or a around the same day as me. It was comforting hearing their stories. I was the youngest person there (I’m 23) and there was something comforting about people telling me they wish they had done it when they were my age. Hearing how their stories were just like me, it only confirmed that I made the right decision. After surgery I had this overwhelming emotion about what I just did. Part of me was a little nervous, relieved and curious if I made the right decision. All it took was coming home and noticing all the changes in my eating habits to know I did. It was difficult being on liquids in terms of calorie intake. I was a nanny at the time so there would just be moments where I would just become flat out exhausted. Sucking on hard candies was my saving grace when I needed a little bit of energy. But it took me over a month to go through a box of lemon heads, before surgery they wouldn’t have lasted a day. I bought a pint of ice cream my third week post surgery that is still half full in my freezer. I still have the one box of popsicles I bought my first week post op, there’s a couple left but I’ve given away most of them. I just don’t have the same relationship to food anymore. Why would I eat 2 bites of bread when I could have a couple bites of fish and veggies? Why would I choose candy when I can be just as satisfied with fruit? The old me would never been able to understand my logic now. I had my surgery May 23, 2014, today is September 19, 2014 . I’ve lost 51 pounds after surgery and 11 pounds on the pre-op diet for a total of 62 pounds lost so far. * To be at my goal weight I have to lose 37 more pounds. I can’t believe how much success I’ve had in the few months after surgery. It’s exciting to see what my end result will be, especially since I don’t know what I look like past 165 pounds (my lowest weight post-puberty). I am so glad that I didn’t wait and trusted my instincts. This surgery has given me a greater future and I can’t wait to have the body and life I thought I would never have. I knew I couldn’t do it alone but I refused to give up. I’ve started wedding dress shopping and taking full body pictures again. Soon I will have to buy a completely new wardrobe and can’t wait to go shopping. I’m proud of myself again, I’m happy and I’m no longer considered obese on the BMI scale, just over weight. I’ve gone from a size 16/18 to a size 12 in 4 months. * I can’t wait to see where I will end up. I want to thank Dr. Rod & Dr. Elmo, along with Dr. Solis, Dr. Reyna & the staff at BeLiteWeight for taking such good care of me!